Trader Michael Milano works on the floor of the New York Stock Exchange, Jan. 3, 2019. The stock market had a dismal fourth quarter, resulting in the biggest down year for equities since 2008. So it is natural that all the prognosticators of doom would come out of the woodwork to project an impending recession. These forecasts garner headlines and visibility, which may be their real motives, since it doesn’t appear their objective is correctly forecasting economic or market developments. When sentiment turns this gloomy, if bad news does not follow, a sharp rebound in stocks prices can come in response to any of a sizable number of possible positive events. And right now, the list of potential positive catalysts is long, starting with the big rally on Friday in response to a better-than-expected monthly jobs report. A recent television interview with Jeremy Siegel of the University of Pennsylvania’s Wharton School was telling. The host noted that Siegel tends to be optimistic about the outlook for stocks, but the host also mentioned that Siegel had been correct in his optimism over the past several years and questioned whether such optimism remained appropriate. Contrast that with the perma-bears, who are always forecasting doom and gloom and, like a stopped clock, are correct once every several years. Bearishness may pay off in the form of more TV interviews, but optimism pays off in the stock market. What could go right? The primary issue is the health of the economy. Bears expect weakness — as they always do — but there’s a big difference between slower growth and recession. Even though I expect a sizeable slowdown, from around a 3 percent pace to about 2 percent, I’m bullish on stocks. From 2010 through 2017, growth oscillated around 2 around, which was sufficient to drive the unemployment rate down from 10 percent to less than 4 percent. The decline in unemployment provides evidence that growth during that period was above trend, so 2 percent is arguably a bit above a sustainable pace of growth. But what if monthly job growth continues at a pace of about 175,000 or more? Growth would continue, albeit a bit more slowly, while corporate profits would ramp higher. At some point, rising earnings become impossible to ignore. A second focal point of investor attention is the U.S. trade conflict with China. Neither wants a trade tiff to undermine its economy. President Donald Trump has a legitimate beef with China’s theft of intellectual property and its glaring bias in favor of its own companies. China understands it must play fairer, but will do so only to the extent necessary to make this issue disappear. Some sort of compromise remains highly likely, although it will take some time to reach an agreement. Other issues have also been raised by the bear camp, such as falling oil prices signaling economic weakness. This inference requires ignoring job growth, household spending and developments in the energy industry, notably falling production costs and insufficient infrastructure to transport increased production of oil and gas to market. Natural gas is being flared at the wellhead or selling for peanuts due to inadequate pipeline capacity to bring it to market. Oil storage is very high for the same reason and there’s a large price gap between oil in Cushing, where it is stored, and Houston, where it can be processed and sold. Energy prices are low due to high levels of production, not due to weaker demand. That’s why OPEC is conspiring to curtail output. In fact, U.S. gas exports are setting records and America is now a net energy exporter. Exports will be even higher once new facilities come on line. An inverted yield curve is supposed to signal recession, but it takes more than two years on average for recession to follow an inversion — if a recession follows at all. And the absolute level of interest rates remains low, as are rates relative to inflation. Monetary policy remains accommodative. Yes, the political scene is a mess. Democrats hope to tie up Trump with investigations for the balance of his term. An impeachment effort remains a possibility. Trump will continue tweeting. It is unlikely Democrats and Republicans will start getting along anytime soon. Such developments make headlines, but they are unlikely to alter the economy’s trajectory meaningfully. Lastly, price earnings multiples are quite low, with more than 100 members of the S&P 500 Index trading below 8 times forecasted 2019 estimates, and the entire benchmark trading below 15 times (and less than 13 times excluding the “FAANG” group of stocks). 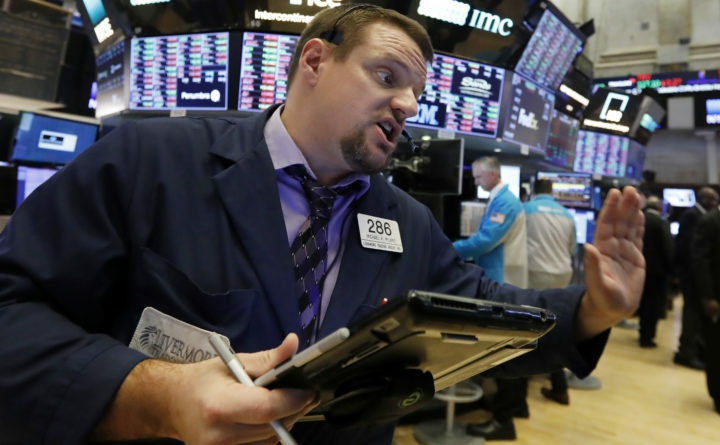 Fourth-quarter earnings reports will start soon and with expectations declining, it won’t take much for stocks to react positively to profits that only meet expectations. It is rare for stocks to decline for two years running during economic expansions. Charles Lieberman is chief investment officer and founding member at Advisors Capital Management LLC. He may have a stake in the areas he writes about.